Nick Walker of the Puffer Preservation Trust aboard VIC 32. The last sea-going coal-fired steam puffer made a call to the Highlands this weekend. The VIC 32 made a call to Muirtown Canal Basin and was visited by hundreds of people over Saturday and Sunday. There was two open days for the public to view the last in its history in an event hosted by the Puffer Preservation Trust. 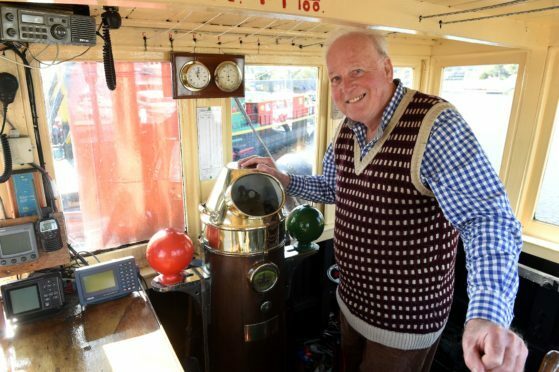 It comes as the organisations celebrates its 75th birthday and also the fact that Nick Walker, one of the directors, has been awarded a BEM in the Queen’s 82nd birthday honours list, for services to tourism, charity and the restoration of VIC 32.